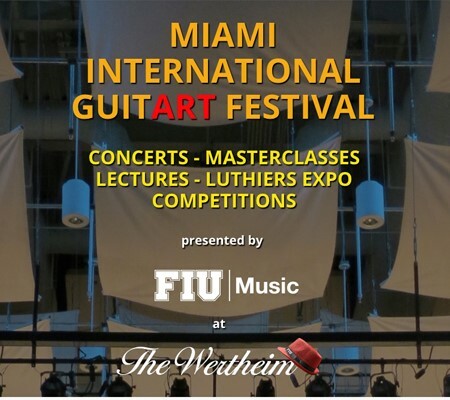 On November 28, 2016, the Miami International GuitART Festival and FIU School of Music were recognized as one of the Knight Arts Challenge award winners at their 9th annual celebration at the New World Center in Miami Beach. Matt Haggman, Miami Program Director for Community and National Initiatives with Knight Foundation and Victoria Rogers, Vice President/Arts for Knight Foundation, presented the award to the MIGF Director Mesut Özgen. The John S. and James L. Knight Foundation’s Knight Arts Challenge funds ideas that brings South Florida together through the arts. The 2016 Knight Arts Challenge awarded 2.78 million to 44 Miami artists and projects aimed at exploring the authentic voices of South Florida and bringing art to neighborhoods from Key West to Palm Beach. From projects that connect to Cuba to a gallery in the Everglades, from transforming buildings with public art to a writing program in Opa-locka, the winners are a spectacularly varied group that reflects Miami’s unique community, as reported in The Miami Herald. “It’s a celebration of the incredible diversity of this really rich and special place. Through the arts, we are connected to place and our collective and individual stories are told. Perhaps the most important, empathy can result,” Victoria Rogers, the Knight Foundation’s vice-president for arts, told The Miami Herald. The MIGF/FIU will be awarded a $55,000 grant from Knight Foundation, as part of its Knight Arts Challenge, to honor Miami’s Cuban heritage by dedicating the Miami International GuitART Festival to Cuban music and creating cultural exchanges between Havana and Miami guitar orchestras. One of the conditions of the grant is to find funds to match Knight’s commitment. Once we have raised the matching funds, the MIGF will present world-class artists from Cuba and all around the world, including the Havana Guitar Orchestra, as well as a tribute concert to the legendary Cuban composer Leo Brouwer in February 2018. Make a Donation and help us match the Knight Arts Challenge Grant! 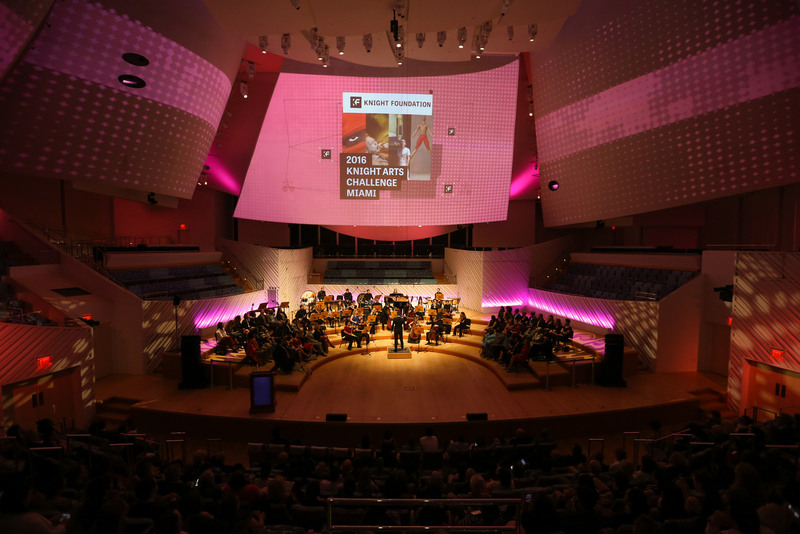 Knight Arts Challenge Awards Ceremony at the New World Center in Miami Beach on November 28, 2017.